New Journeys is a platform built by Animikii for the National Association of Friendship Centres. The goal of New Journeys is to provide and share stories about the Indigenous experience in Canada. The platform writes original content for its audience, but it also curates and seeks out content created by Indigenous contributors from around the country. Furthermore, New Journeys also acts as an online resource for urban, Indigenous youth, Indigenous families and other Indigenous-focused populations. The site has a built-in “Services” search feature that allows visitors to find the resource or Friendship centre closest to them depending on their needs. 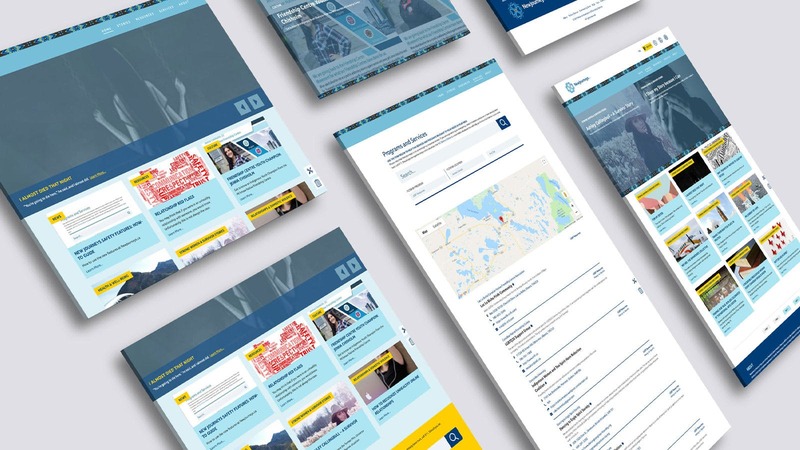 Some of the unique features of the platform include the ability to switch between French and English-language articles with ease and the ability for website visitors to choose from multiple “themes” for the site like ‘Métis,’ ‘Mi’kmaq,’ ‘Inuit,’ ‘Coast Salish’ and others. These “themes” allow the website viewer to change the look of the overall page and will display the logo in the traditional language associated with each theme.